Agricultural waste is a valuable source of advanced materials. Cheap nanocellulose may be obtained from plum shells agricultural residues and further used instead of expensive nanocellulose as reinforcement in biopolymers. In this work, two types of nanocellulose, cellulose nanocrystals (CN) and cellulose nanofibers (CF), were isolated from plum seed shells using two different approaches. CN and CF from plum seed shells were used for the first time as reinforcing agents in a polylactic acid/poly(3-hydroxybutyrate) (PLA/PHB) matrix using a solvent casting method. 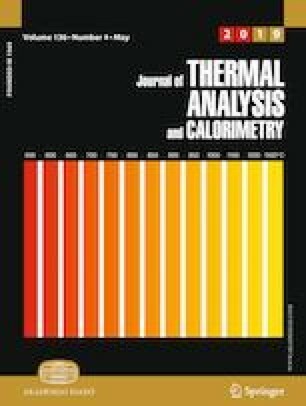 The surface morphology, thermal (TG and DSC), static and dynamic mechanical (DMA) properties of the resulted biocomposite films were characterized and compared to the neat matrix. Atomic force microscopy—peak force quantitative nanomechanical mapping emphasized the influence of nanocellulose type upon the crystalline structure of PLA/PHB biocomposites and the dispersion of nanofibers/nanocrystals in the polymer matrix. Thermal and XRD analyses showed that the incorporation of CN increased the thermal stability and crystallinity of PLA/PHB biocomposite film. Young’s modulus and storage modulus of PLA/PHB/CN biocomposite were higher compared to that of PLA/PHB/CF showing the better reinforcing capability of CN compared to CF. This is consistent with the better dispersion of CN observed by PF QNM. The good effect of cellulose nanocrystals obtained from plum seed shells on the properties of PLA/PHB matrix highlights the potential of this cheap nanocellulose to obtain biocomposites in very advantageous conditions. This approach is proposed as an affordable and efficient tool to employ agricultural wastes as raw materials for high added-value products. This work was supported by two grants of Ministry of Research and Innovation, CNCS—UEFISCDI, PN-III-P1-1.1-TE-2016-2164, No. 94/2018, Biocompatible multilayer polymer membranes with tuned mechanical and antiadherent properties (BIOMULTIPOL) and PN-III-P4-ID-PCE-2016-0431, No. 148/2017, Nanocellulose 3D structures for regenerative medicine (CELL-3D) within PNCDI III. Acid-insoluble lignin in wood and pulp (reaffirmation of TAPPI Test Method T 222 om-02). http://www.tappi.org/content/SARG/T222.pdf.